Plymothian Transit: Ugo is Go! 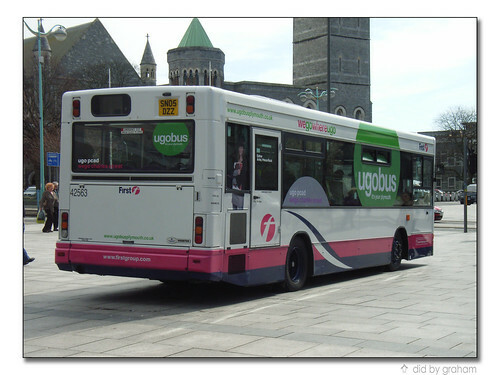 Today is U-day for First Devon and Cornwall as the new Ugobus network starts in Plymouth. This Dart has been spending most of the week sat in the City Centre giving out leaflets for the new services. It also gives us the first glimpse of the new livery - basically a big green blob. Not exactly an eye-catcher is it? Having said that is is probably easier and better than the various 'lines' that have been tried in the past and quietly dropped over the last few years. This livery should be appearing on most of the buses used on the network although a trip into town today on the 1A was on a standard livery Solo. Various other Darts and Volvos were out and about on the new network but none were displaying the blobs. I assume that the main fleet were receiving theirs back at the depot and will appearing out and about on Monday? But what about the publicity? The main leaflets are very well designed to be nice and clean and simple to understand. A lot of thought has clearly been given in this area. The maps in particular are well designed and easy to read. The timetables are very clear and easy to read. 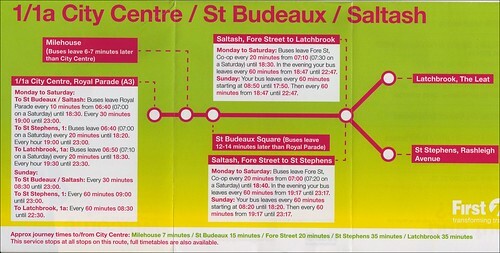 It does show just how simplified and clean the new timetables are. There are very few 'notes' and deviations to the basic services which should help passengers remember the bus times for their routes. The only criticism I would have is that the leaflets I have seen so far have timetables in one booklet and maps in another. 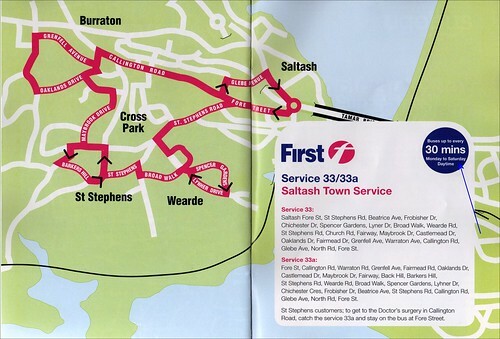 With very little in the way of route details in the timetable booklet other than the main stopping points, it is difficult to work out exactly where the buses go. If these maps and timetables could be combined then it would work a lot better. It may be that there are leaflets that already do this for individual routes but I have yet to see any of these anywhere. It will be interesting to see what the reaction to the new services is in the local press during this coming week. I for one welcome the initiative that has been taken here to try something different than the usual cutbacks. They have show imagination and have clearly tried hard to set up a network that is easy to work out. 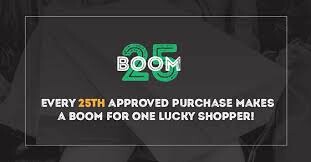 Good luck to them!